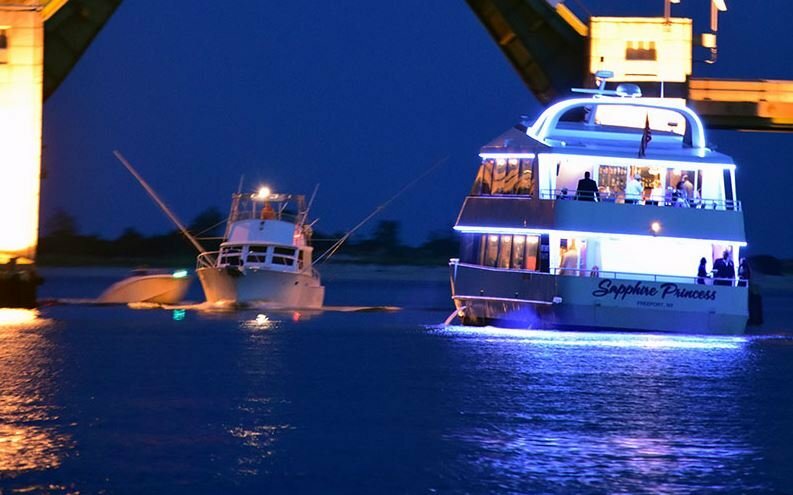 When operating your vessel at night there are a few essential tips you must know. Be sure to read these tips and your local areas laws and regulations to ensure safe nigh time boating. Firstly, make sure you always exhibit the correct lights from your boat. For most size boats and in most areas these are a red light on your port or left side, a green light on your starboard or right side and a clear or white light on the stern or rear of the boat. Make sure these lights are all working before you leave and also ensure they are unobstructed. You also need to make sure these lights are showing during the period of sunset to sunrise. You need to show these lights whilst either underway or at anchor. It is also a good idea to display these lights during daytime periods of limited visibility such as during fog or rain conditions. It is also essential that you try to maintain your night vision. After a few minutes in the dark your eyes will slowly adjust and your vision will improve in the dark. Try to minimize any lighting on your own vessel to prevent disturbing this vision. You should also show restraint in the use of spotlights so you respect the night vision of others. Finally, it is important to proceed with caution during night time boating. Many pylons, buoys and markers are unlit so you need to always proceed at a slow and safe speed. So with these tips and your local laws and regulations in mind, get out there and give night time boating a go. Driving Your Boat On/Off A Trailer – Don’t Do It! Many people will drive their boat both on and off a trailer. I personally do not think it is a good idea. Below are my main reasons why you should never drive your boat either on or off your trailer. If you drive your boat off the trailer, you are putting stress on your engine as soon as you get into the water. Most people allow their cars a few seconds to warm up, so why wouldn’t you do the same for your boat? 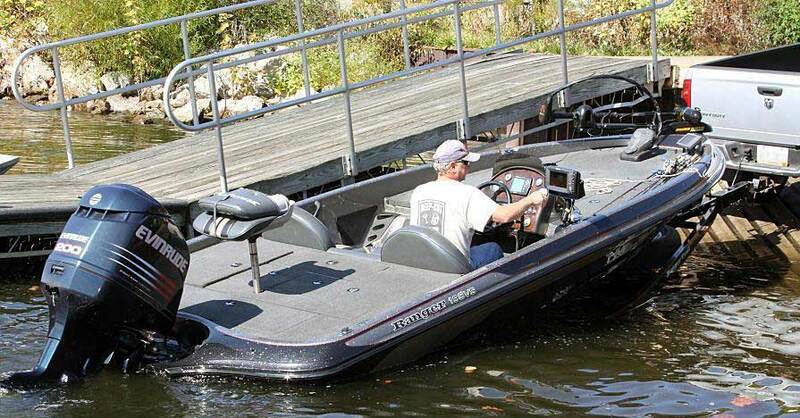 Most engines will require substantial revving to give them enough power to slide a boat off the back of a trailer. This revving causes stress on the motor and will most likely decrease it’s life span considerably. Driving a boat onto a trailer is just as bad. Although the engine would have warmed up, you are likely to stir up the sand with your propellor. This stirring up of the sand means the water that flows into your engine is also going to be mucky. Sand and other debris will enter your motor which can build up and cause damage. When riding your boat onto your trailer you are also more likely to run aground, or worse still hit your propellor into something. Riding the boat onto your trailer also takes a fare bit of skill and opens up the possibility of a multitude of accidents. 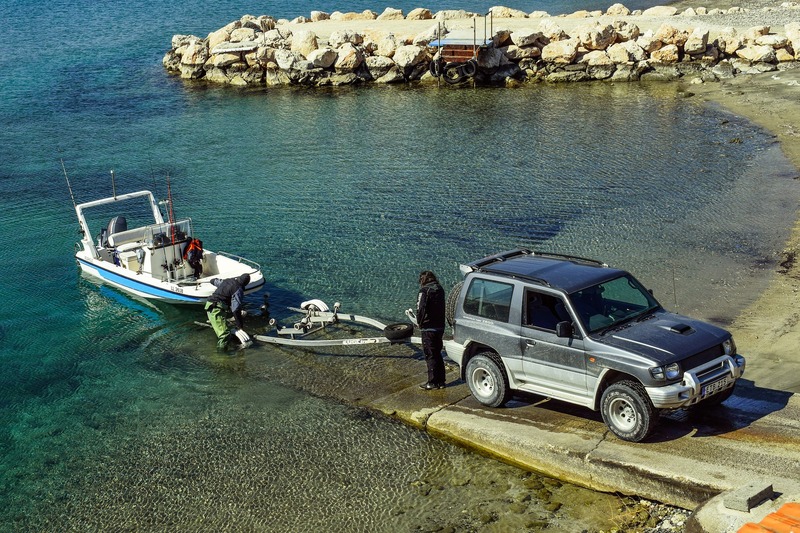 So what is the best way to get your boat too and from your trailer? Use the winch! If the effort of manually winching isn’t for you, consider upgrading to an electric winch. It will ultimately be better for your boat, therefore giving you more years of trouble free boating. Obviously there will be times when you are unable to use your boat. Winter is probably the time where you will get the least use out of your boat. But in summer when the weather is good, you should get out on your boat as much as possible. Using your boat frequently will prevent seals from drying out and keep all parts of your boat nice and lubricated. Your fuel tanks will not fill up with condensation as you will regularly be using old fuel and replacing it with new fuel. Problems occur most of the time when boats are neglected for long periods of time. So what do you do if you must leave your boat for a long period of time? Firstly, consider turning the boats engine over at least once a month. Make sure the engine runs for about 10 minutes minimum. If you have an outboard be careful to ensure a water supply is pumped into the motor to prevent damage. You should also always watch this water supply as hoses can become kinked and kids can turn them off which can result in extensive damage to your motor in seconds. Try running all other devices in your boat to keep them in a good state. This includes all elecrtical devices, pulleys, steering, winches and cables. A quick flick of a switch once a month may save costly repairs down the track. If you have an outboard motor and plan to not use it for an extended period of time, be sure the motor is trimmed down to ensure parts of the motor stay lubricated. If the boat is kept outdoors be sure to purchase a good quality boat cover to keep it out of the elements. Basic maintenance indeed, but these small tips could save you big money repairs.